This year is the centenary of the allied offensive out of Salonika in the Macedonian campaign of 1916. 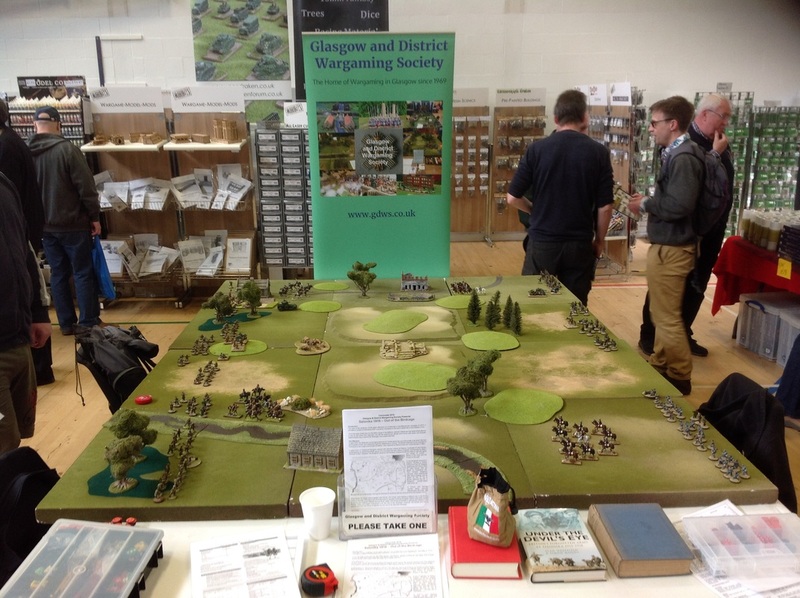 It provides a number of interesting WW1 scenarios, compared to the trench stalemate on the Western Front. 1915 had been a bad year for the allied cause in the Balkans. Serbia’s defeat and the failed allied attempt to link up with them from Salonika, had left the allied forces (British and French with Italian and Russian detachments) dug in behind the ‘Birdcage’ line outside Salonika. In April 1916, the allied war council gave authority for limited advances up to the border to tie down German and Austrian troops, who otherwise might be redeployed to Verdun. The British Salonika Force consisted of 5 divisions in two corps commanded by Mahon, then replaced by Milne (known as ‘Uncle George’) in May. A patrol from 1/1 Sherwood Rangers clashed with German Uhlans at Pataros, southeast of Lake Doiran, spearheading an advancing British group of a mounted and two infantry brigades commanded by Major-General Gordon. However, the Bulgarian advance into Northern Greece forced the allies to halt and agree two zones of control – British in the west and the French in the east. A new Bulgarian advance in August, resulted in British troops from the 78th Brigade supporting the French west of Lake Doiran with an attack on Horseshoe Hill. The forward Bulgarian trenches were abandoned after heavy shelling, and an attack by the 7th Ox & Bucks captured the hill. A Bulgarian counter-attack was driven off. A French and Serbian counter attack captured Kajmakcalan Mountain and Monastir fell on 19 November, forcing the Germans to reinforce with two divisions from the Western front. While British XII Corps were engaged near Doiran, XVI Corps, were fighting a different war in the Struma Valley to the east. This was a war of limited actions, typically involving a brigade. Neither side really wanted to occupy the mosquito infested Struma River valley. XVI Corps succeeded in gaining the initiative in the Struma Valley and largely maintained it for the rest of the campaign. However, the Doiran and Vardar sectors were the main focus of attention for the rest of the Salonika campaign. 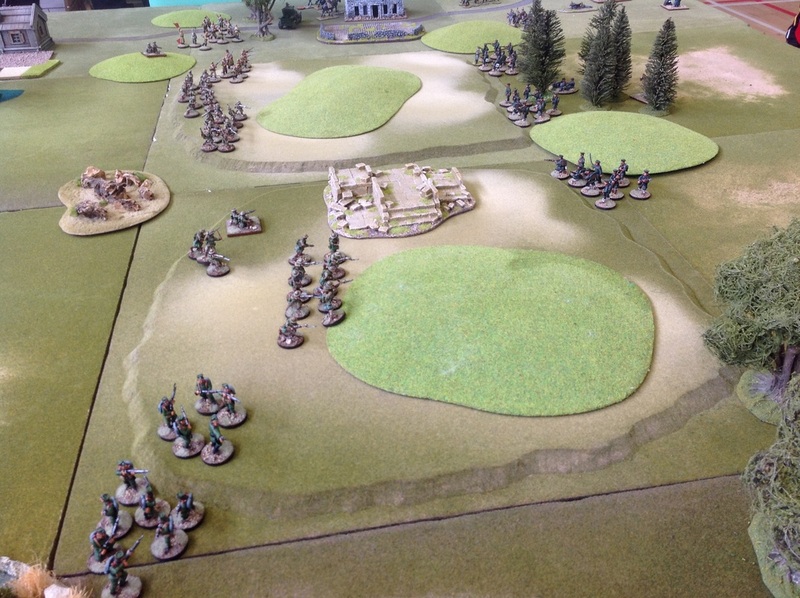 The game represents a typical small scale action of the campaign involving mainly British troops against Bulgarian, German and Austrian troops. 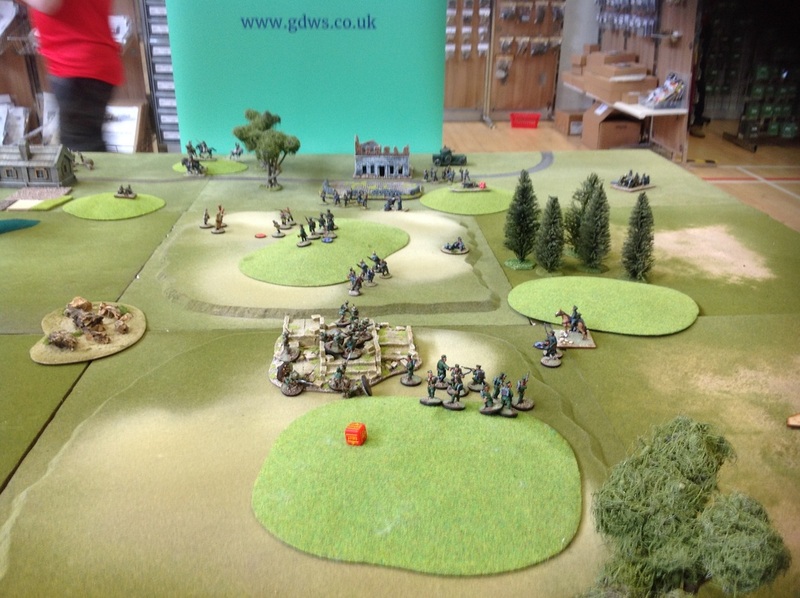 The figures come from a variety of 28mm ranges and the rules are Bolt Action.